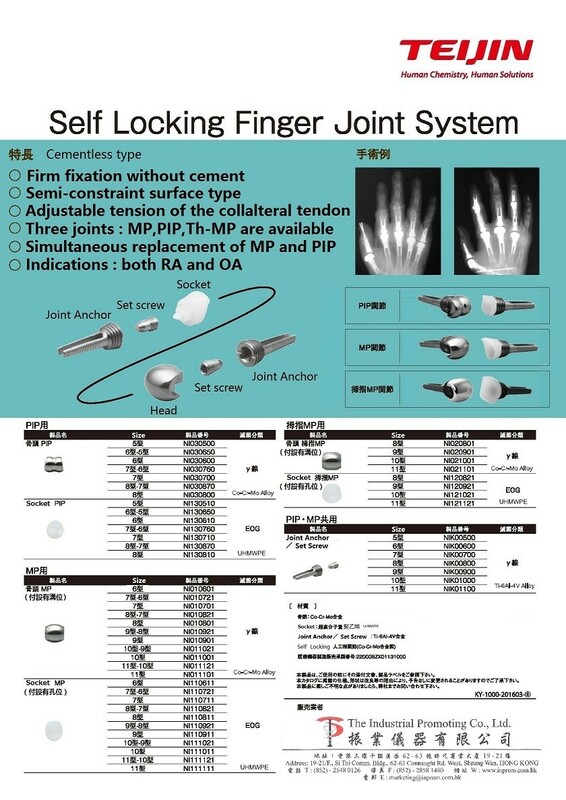 Teijin Nakashima Medical - The Industrial Promoting Co. Ltd.
●Indications: both RA and OA. 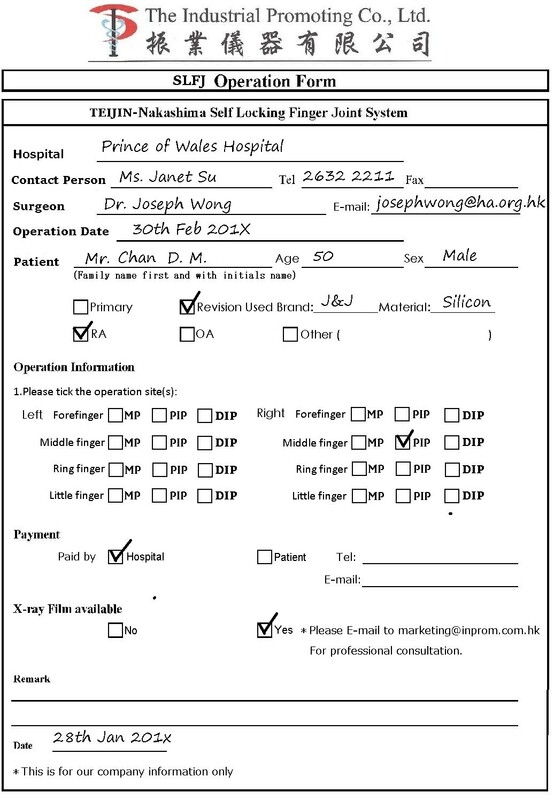 2) Send IPC the Patient X-Ray image data. 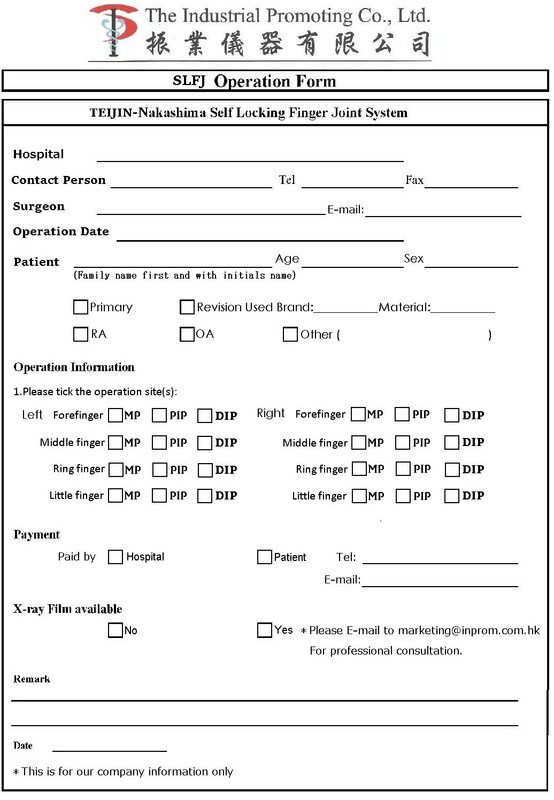 3) Optional manufacturer expert doctor provide professional consultantation. 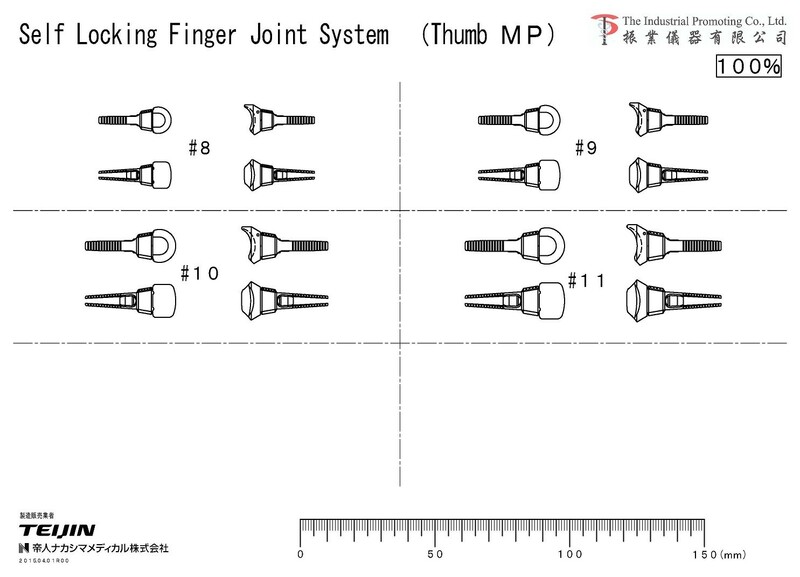 ◇There are different kinds of joint prostheses for each of the finger’s three joint. 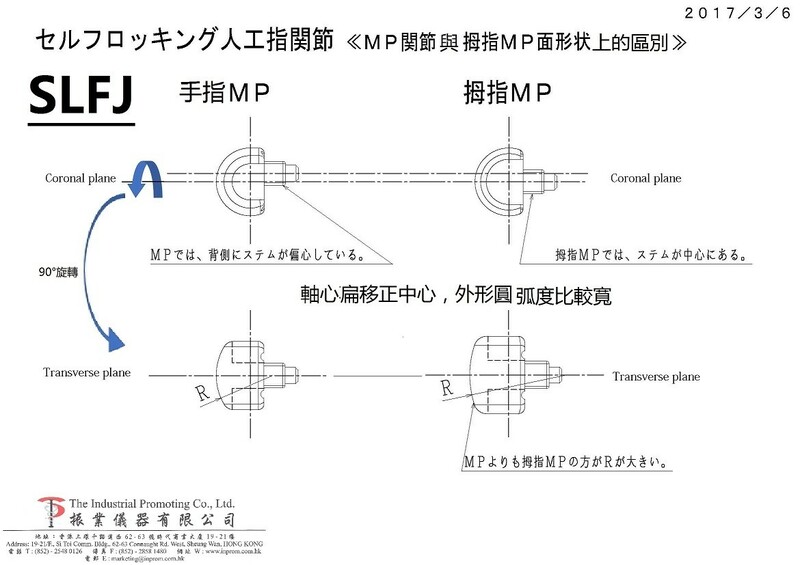 ◇The metal head has a smooth curved surface. 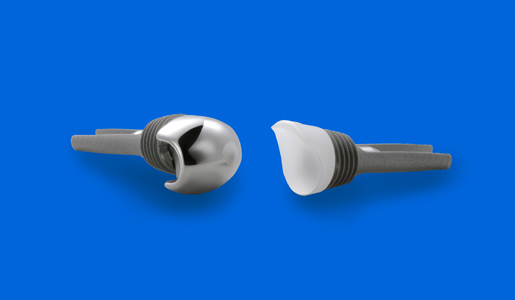 Finger function is reconstructed by a head and socket combination that enables surfaces of the finger joint prosthesis to slide. 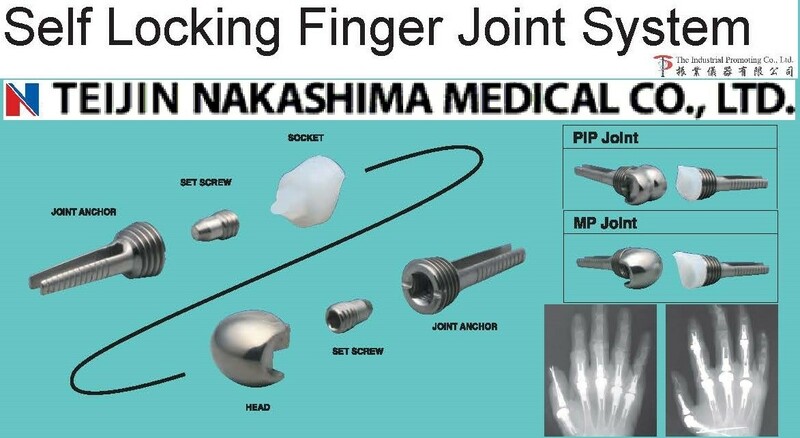 ◇Teijin Nakashima Medical offers various sizes of finger prostheses suited for Japanese and Asian people.